Agrii is built on the unification of several respected businesses during the last 30 years, all with their own valued reputation in UK Farming. Now part of leading Agri-Services business, Origin Enterprises plc, our combined pedigree and vast experience allows us to provide the very best agri-intelligence for agronomists and growers. We are called Agrii because we deliver Agri-intelligence and innovation: our strengths and skills are embodied in our name. 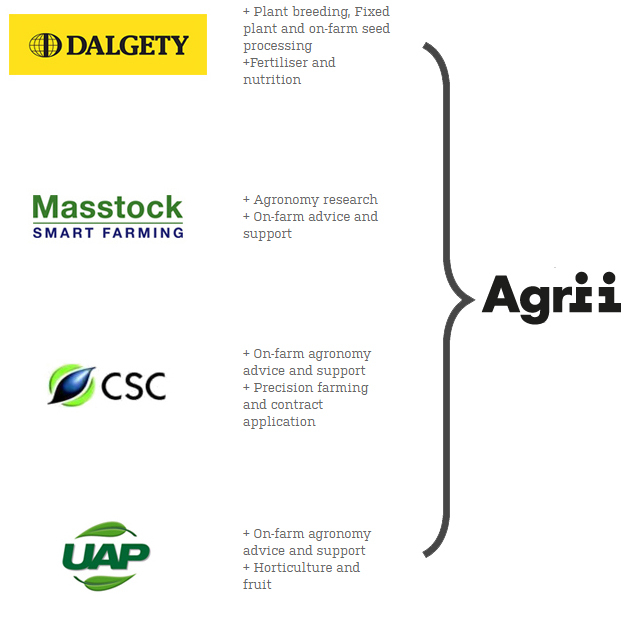 Each business has contributed unique capabilities to enable Agrii to become the integrated agronomy services provider it is today. The distinctive heritage within each individual business is fundamental to today’s Agrii brand.